So I attended MSDN Live today and they revealed that come June a new conference will be started; Norwegian Developers Conferance (NDC?). Great news by itself, but even cooler is the fact that Scott Hanselman is coming! I SO wanna be there! I have to beg my coming employer for permission! The conferance is only a two days event, 17-18th of June I believe, and the first day will be a “standard” conferance sort of thing, ie. talks by various people. And then the second day will be spent focusing on Agile/Scrum development. Not sure what that entails, but it’ll be interesting to see what becomes from it. No matter; I might have a chance to meet one of my heros, Scott! I actually have two heros named Scott! This is, literally, the exact thing that I did when I read it… D’oh! Interesting idea. I often find that I need just a small example of some code to start me off, just so that I don’t have to do it all from the beginning. This might be the best resource for those samples. Not much there right now, hopefully they’ll keep updating it. I like the floppy, adore the Firewire ports and just love the Shuffle! Good stuff! We’re using TFS and loving it, but this proves that there are plenty of free/cheap products out there to do the job for you. I’ve got a new phone! 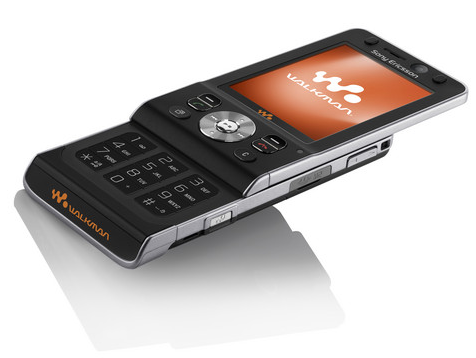 A SonyEricsson w910i and I like it so far. Why am I getting a new phone? Because I’ve quit my old job at Synergi Solutions and I’ll be starting at Bouvet come April 1st! That’s why! So I’m dumping my old Nokia E60, which I’ve hated from the day I got it… Hate is a strong word, but I believe it is the only word I want to use about it… Piss-poor battery, hostile UI (as opposed to user friendly) and just to top it off it had some serious memory leaks so it would slow to a crawl every 10-12 days… Only a cold reboot would fix that… Goodriddance! Anyway! I’m now subscribing to some RSS-feeds (podcasts) and trying out the new Media Manager software that came with the phone. I’ll post some more on that later on, but let me say this: Sony is good at hardware, not software. Interesting. We’re using MindMaps to spec our releases, so not really for us, but cool anyway.